Kings Point Suncoast in the news. Kings Point Suncoast is a limited access 55+ active adult community located 20 miles south of Tampa in Sun City Center, FL. We are ideally located between Tampa-St. Petersburg and Sarasota, near the white sand beaches of Florida’s Suncoast. We are one of the most vibrant active retirement communities in west central Florida with a wide range of home styles, sizes and prices. No matter where you live in the community you have access to all of the extensive Kings Point Suncoast amenities and activities. In an effort to keep our community and future residents informed on events, latest news and possible changes, Kings Point Suncoast is striving to provide relevant 55+ news at the click of a button. We encourage you to stay up-to-date and read the articles on retirement below. Check back regularly to see the most recent featured news on active adult living. Kings Point Sun City Center West Master Association has leased the closed ClubLink golf courses and the Falcon Watch Clubhouse in Kings Point from ClubLink Corporation for non-golfing use by the residents in this community of nearly 5,600 homes. 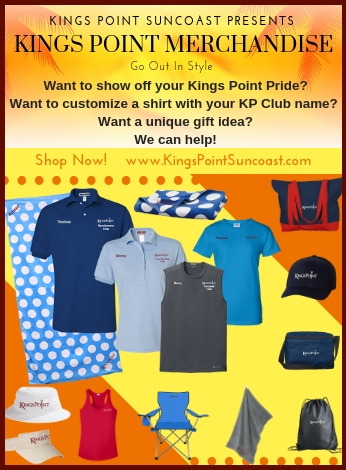 The new courts will make Kings Point Suncoast an area Pickleball facilities leader. Play is set to begin on a new athletic complex for a sport that is growing in popularity across the United States among active adults: Pickleball, the fun variation on tennis with smaller courts. The eight new courts are now visible from S.R. 674 at the front of the Kings Point property. A ribbon cutting ceremony will take place on Fri., June 3, 2016 10 a.m.
Resident leaders of Kings Point Suncoast (kingspointsuncoast.com) will break ground Monday, January 18, 2016 on a new athletic complex for a sport that is going viral across the United States among active adults: Pickleball, the fun variation on tennis with smaller courts. When the eight new Pickleball courts are complete, Kings Point Suncoast will be the area’s Pickleball facilities leader. Living life as an adventure helps renew vitality and well-being every day – and Active Aging Week is a perfect time to highlight it. With the final developer ending their new construction in Kings Point Suncoast at Sun City Center, FL, full control of this active retirement community of nearly 5,600 homes now rests with the residents. Kings Point residents will give the community’s impressive theater a new name, “Veterans Theater,” just prior to this area’s traditional Memorial Day Ceremony. Kings Point Suncoast Partners with Bayshore Solutions to Create Custom Developed Website, Aimed at Highlighting New Brand and Providing Community Resources for Future Residents. More than 9,000 Kings Point residents continue enhancing their community with the most impressive addition to their wide array of amenities in more than 15 years: a $4.3 million fitness and wellness center that will be celebrated March 20 with an all-Sun City Center community party and Open House.